With profound sadness, we announce the passing of Marie, our loving and devoted mother and friend to all whose lives she touched, on March 08, 2019. She was 58 years old. Marie Junelaire Coriolan was born on August 22, 1960 in Cabaret, Haiti to the union of the late Christian Coriolan and Berenice Marc. She spent most for of her life living in Haiti. While living in Haiti, Marie was a dedicated business woman who sold bread at the local markets. She moved to the US in 2011 to be with her oldest daughter and youngest son. Shortly after moving to the US, Marie started worked at Rosen Centre Hotel for 4 years. Marie was a loving, caring, and giving person. She had the ability to light up a room with her smile and laughter. Marie was a dedicated mother first and foremost. She treasured her children and embraced every moment with them. She especially loved her role as grandma. She was a loyal worshiper of God and a member of Eglise de Dieu la grande commission (Church of God, the great Commission). 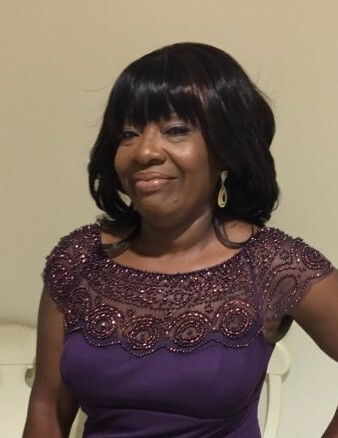 She leaves to cherish her memory - two sons, Richard Coriolan, Matthew Eximond and two daughters, Mireille Eximond-Parrott and Catiana Guillaume; one grandson, Juvensky Francois, all of Florida and Haiti. A loving sister, Marie Ella Coriolan Vilbrun along with two sons Yvlotde Jean and Junior Vilbrun all of Delary, FL and a host of nieces, nephews, other relatives and to all her friends: Elifaite Joseph, Annocelyne Joseph,Ashly Joseph,Jonel Desamour, sister Anne, everyone in the church and at work. A funeral service celebrating her life will take place on Saturday, March 30, 2019, at 10:00am at Faith Assembly of God, 9307 Curry Ford Rd. Orlando, FL.